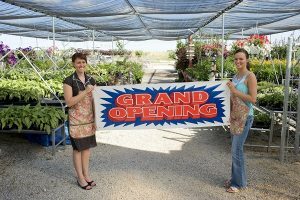 Utilizing a vinyl banner may be a great way to advertise, but you need the right design to do so! We’ve mentioned before that banners are some of the most effective, cost-efficient ways of promoting an event or business. That said, it isn’t always easy to make one that catches the eye. Coming up with a good banner is a design choice and there’s a reason design is so difficult. You can’t just think about what you like, but what the public as a whole would like, which means keeping a few design ideas in mind. If you want to create the perfect banner for your business, read on below to discover just how you can do that. The perfect resume may be achievable if you just follow these steps! The right resume can mean the difference between getting an immediate call back and getting lost in a stack of other resumes. Writing a quality resume doesn’t need to be a tricky process, as long as you are willing to invest time and effort into the task. Here are some of our best tips for writing an awesome resume that will get you hired. Do Businesses Benefit From Their Own Stationery? Having your own custom stationery can help your business grow. A lot of businesses tend to get wrapped up in the hottest technology or bit of social media, so much so in fact that they often forget about the basics of office stationery. There may seem to be no need for old school office necessities like note cards or envelopes when everyone is just using telecommunications and chatting programs, but stationery remains an essential supply for any office. As a business owner, you may not yet realize it, but your business can benefit from having your own branded stationery. Posted in Commercial Printing in Baltimore | Comments Off on Do Businesses Benefit From Their Own Stationery? As a small business, a good approach to marketing can make a world of difference. Starting a small business can be incredibly difficult. There are a lot of costs up front that come along with a plethora of difficulties and headache-inducing decisions. For a small business to be successful, every decision must be made right. One of the areas small businesses struggle in is marketing. As a small business, it can be incredibly difficult to get your name out there which can have big impacts on your revenue. These are some basic marketing ideas for small businesses to adhere by and learn from. Brochures are a great marketing tool, but in order to use them effectively, there are a few things to keep in mind. A great brochure can do wonders for your business marketing. 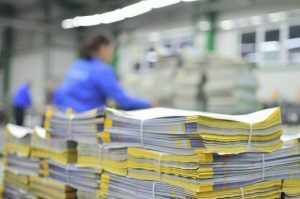 While digital materials are gaining popularity every year, there is still a great deal of demand for printed materials. After all, when you meet with other business owners in public, do they ask for you to send them a digital business card or a paper business card? Brochures are the backbone of many print marketing campaigns, and here is what you should know about creating an effective brochure.